Stone has always been part of our Indian history and local heritage. Based in the beautiful stone town of Udaipur in Rajasthan, India Samyak Exports is lucky enough to live and work on the famous Natural Stone belt. We are the pioneer in manufacturing and exporting Natural Stones since 2011 from INDIA. You can find our products exported all over the globe. We have a rich and exotic collection of Natural Stones like Granite, Marble, Sandstone, Slate stone, Limestone, Quartzite, and beautiful collection of handicraft products, precious and semi-precious gemstones. The USP of our company is timely supply and export large quantities of a variety of stones in desired finishes. We’ve contributed to some very prestigious projects from wall cladding to flooring tiles. Our expertise also extends to new developments for the next generation of homeowners. That’s the beauty of our stone. It lends itself to a rich diversity of building projects and landscape where we live, work and come together. We love what we do and work with a beautiful natural product that enhances buildings stay beautiful forever and never loses its appeal. It’s utmost satisfying to be using our rich expertise to invest in the future. 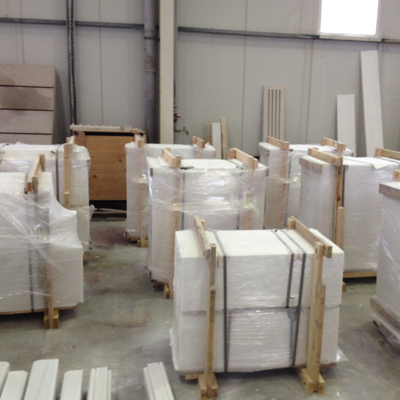 Our passion goes beyond simply supplying architectural stone and flooring products. 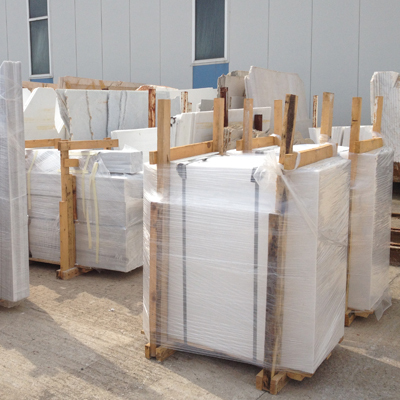 Talk about limestone or any other stones you buy is sourced from our own quarries. You can thus be confident about provenance and reassured about consistency. With resources guaranteed for the many decades to come, our stone supply is safe and abundant. We own and operate local quarries. 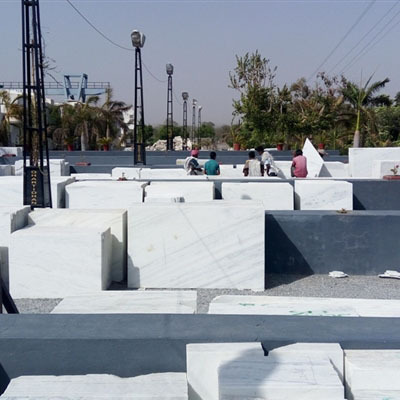 We have 2 special quarries for excavation of Green Marble. Various colors of granite are further excavated from 7 other quarries. Samyak Exports have an unlimited source of raw material at our mines. Our quarry is better described as a stone engineering processing center. Investing in advanced cutting equipment means we can now produce perfect cladding pieces. Best suited as either a constructional element or a lightweight cladding material. Our expert sawing and cropping techniques make the natural stone easier to lay. It can thus be best for bricklayers as well as specialist stonemasons. A strict 100% inspection system is adopted and followed at all stages of the manufacturing process. Our competency lies in our ability to clearly understand the customer’s requirement and fulfill it to the best of their satisfaction. We always work towards building trust and long-lasting customer relationship. 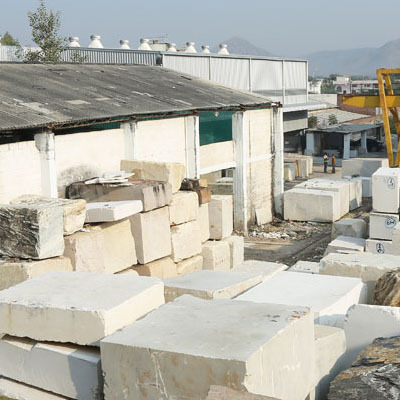 Well-known for offering a host of services to our customers that range from helping customers to select the right stone, quality control, timely deliveries, fast and transparent communication to shipment assistance and quick resolutions of customers’ issues. 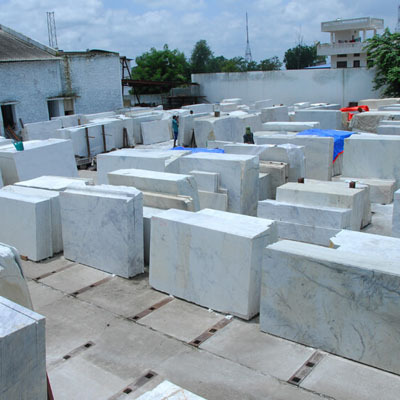 Offering high-quality stones at affordable prices and impeccable customer-oriented services is our policy. At Samyak Exports, we realize that our team is critical to the importance of each project. Our team mission is to make your project as smooth and seamless as possible. Home or commercial improvement projects are rarely easy but our team is trained to handle everything from start to finish. From design to slab selection, to installation and billing – we stand behind each and every phases. Our organization comprises dedicated professionals, who are highly skilled, motivated and completely aware of the underlying challenges of the industry. 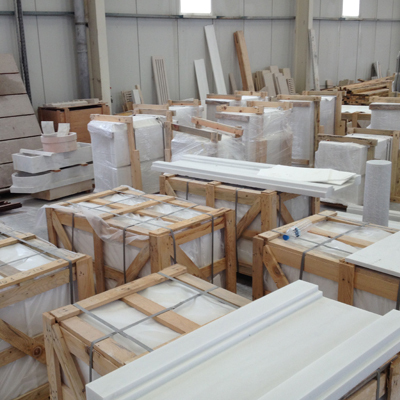 • The vision of our business is to be at the forefront of manufacturing and worldwide exporting of Natural Stones. • Continuously innovate and improve our products, systems, processes, services to ultimately have a satisfied customer base, create value for the shareholder and have a motivated and qualified staff. • Our values: Commitment, Consistency, Honesty, Motivation, and Flexibility. The DNA of Samyak Exports is comprised of a constant spirit of innovation. We look for constant progress in the development of new projects, new experiences contrasted in the form of innovative product lines, services, machinery, etc. implementing all this knowledge combined with experience. This spirit of constant evolution gives us a real chance to transform the basic raw materials used in into differentiated finished products. We stand to be well known in manufacturing and supplying Pan India and many locations abroad. The trust embedded in our service and quality products have fetched us many overseas clients in the U.S.A., UK, UAE, Germany, Australia, Japan, Canada, Singapore, Mexico, Spain, Italy, S. Korea, Belgium, and the list continues. We’re very well aware of preserving the landscape around our quarries. Our natural stones get extracted in the most scientific way, giving a very little harm to nature and reduced carbon foot. Samyak Exports commitment to the environment is based on the fundamentals pillars of sustainability and business ethics, covering the whole product lifecycle. We have a renewal plan in place so that we can assure green spaces in the future. As people who care about the planet, we are passionate about protecting our resources.